After many years of fruitful collaboration, Fondazione LIA – Libri Italiani Accessibili (Accessible Italian Books) and the Italian Blind and Partially Sighted Union have decided to strengthen their partnership with the UICI becoming an institutional participant of the Italian LIA Foundation which promotes book and reading through research on digital accessibility, awareness-raising events, training courses and consultancy activities. This represents a further step forward for Fondazione LIA, which was started in 2011 as a project carried out by AIE, the trade association of Italian Publishers, and later became a Foundation in 2014. Since the beginning, LIA was conceived to increase access to publishing for the almost two million visually impaired people living in Italy. In fact, its main goal was to create a national catalogue of accessible e-books – an initiative made possible thanks to funding from the Ministry of Cultural Heritage, Activities and Tourism for the development of the LIA digital platform. 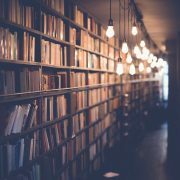 The catalogue has grown even since and today it features more than 20 thousand accessible digital e-books available on the website www.libriitalianiaccessibili.it, and more than 400 titles, mainly new ones, are added every month. 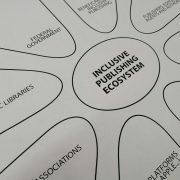 LIA shows that if associations representing people with disabilities, publishers and institutions work together, actions and results can be much more effective. Technologies today offer opportunities that were unthinkable to us even a few years ago. It would be a shame not to catch them. For full details of this important announcement read the recent edition of the DAISY Planet Newsletter published on April 4th 2018. 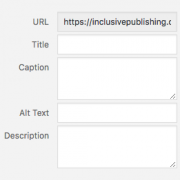 Diversify Your Editorial Offerings: All About Ebooks for Editors Ebookcraft – An Excellent Adventure Indeed!